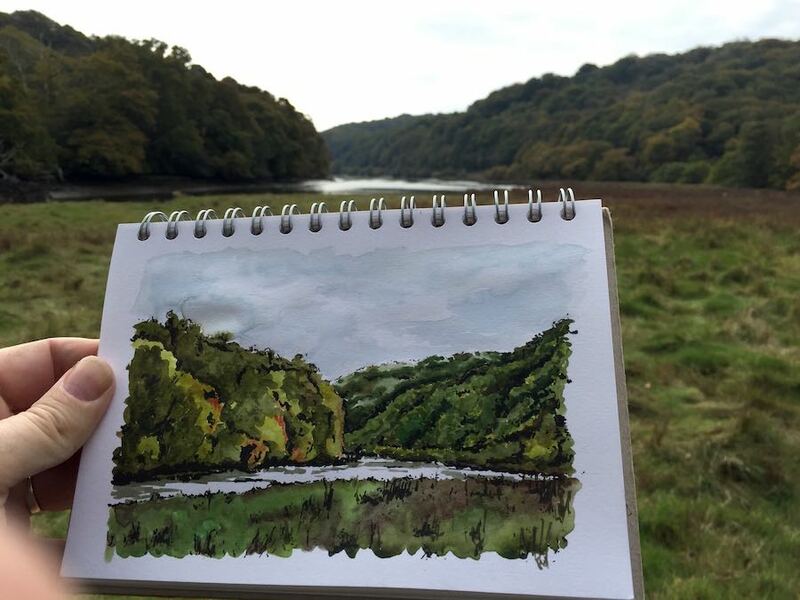 Lostwithiel Salt Marshes – Pens! Paper! Pencils! I do, mostly, enjoy my job (particularly the holidays!) but I think my dream job would be something where I could draw and be creative all day. I’m not good enough to be able to do that but someone who is, is Andrea Joseph. Even someone as talented as Andrea isn’t able to just sit and draw and make a living from it all that easily, as this wonderful article explains. It takes hard work and imagination and not a little bravery. Talking of which, who would ever have thought that someone could make a living writing about pens? But eight years(!!) of talent, hard work, imagination and more than a little bravery has led Brad Dowdy to being able to exactly that. He’s launched a membership programme for the Pen Addict site and I hope, if you’re able to, you’ll all go and join up. Brad is responsible for this pen blogging thing even being a thing. This week’s picture is part of my ongoing attempt to learn how to paint. This time it’s in a very beautiful, though spectacularly damp, part of Cornwall, by the River Fowey.